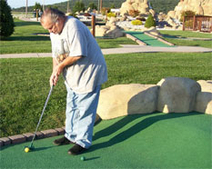 Avenues' Older Adult Social & Recreation Program takes place in the evenings during the week or during the day on weekends. The program serves individuals in the surrounding Pottsville and Tamaqua areas in Schuylkill County, who are Senior Citizens that can no longer drive a car and need transportation to get out and have some fun socializing or get some shopping done. Trips are offered once a week on different days alternating between the Pottsville and Tamaqua locations. Seating is limited on the vans and we take reservations for the trips on a first come, first serve basis. All transportation for the trips is free and staffing is provided for any assistance that is needed.